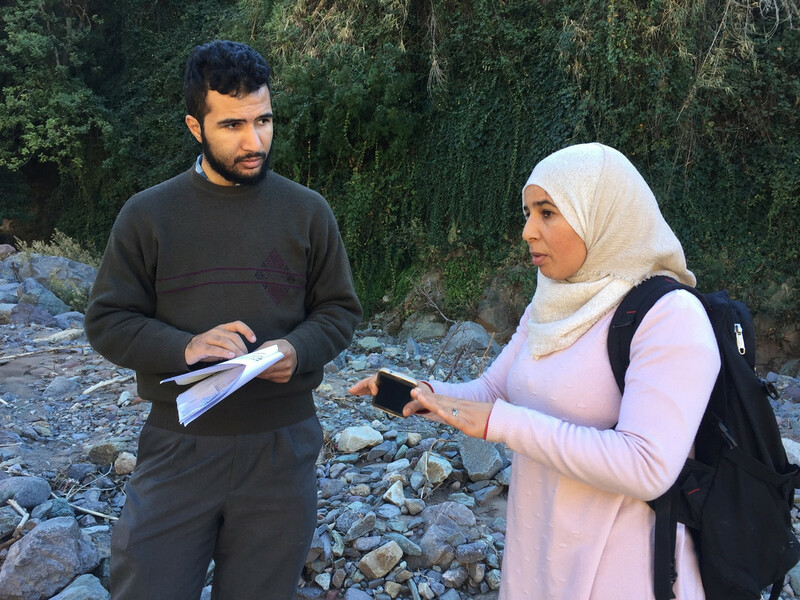 Last week, I joined HAF Project Manager, Amina El Hajjami, and an engineer from Agence du Bassin Hydrauliques on a visit to Tassa Ouirgane village to assess the feasibility of constructing gabions along the river for flood-prevention. A member of the local association guided us and explained the destruction and challenges associated with the river flooding. First we checked on a tree nursery that was started in April. We found that preparations were being made for a second cycle of seeding, and were pleased to see this progress as an indication that the nursery had begun transitioning to complete management by the local association. While HAF believes in the importance of sustained involvement, it also aims to foster autonomy within communities, and, thus, hopes to see projects–like this nursery–thrive under total management by the local community. Moreover, we discussed income-generation potentials for Tassa Ouirgane via the sale of tree saplings. On our walk to the river, we saw men digging a well to build an irrigation system, both for the nursery and for communal use. Particularly in the summer, the river does not supply enough water for the village, so this well will allow for water to be pumped. Future goals include installing a solar pump and building a basin to store the water. 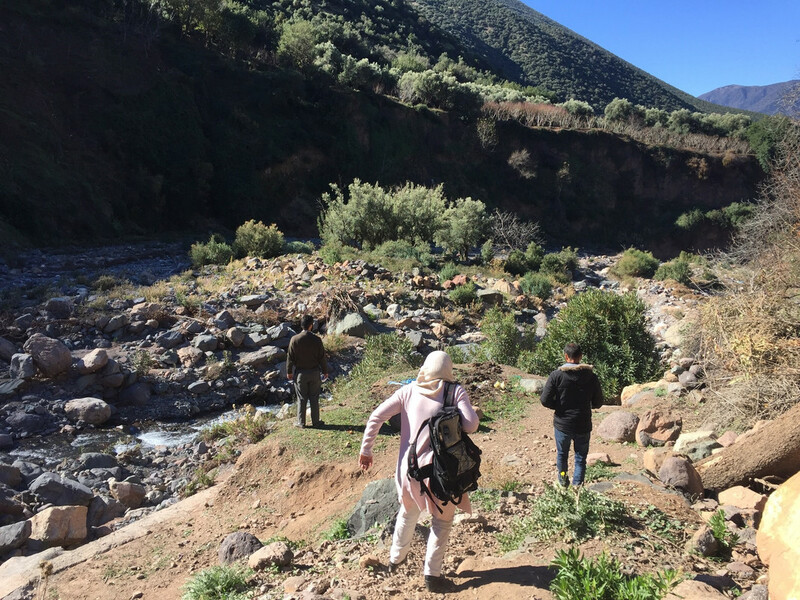 As we hiked along the river, we observed trees that were uprooted or snapped under the force of the flowing river and contemplated points along which it would be best to construct gabions. Moreover, we noticed that the river’s flood zone is widening. Because the river often carries large rocks, the engineer advised that the community construct a more flexible gabion from local stones and netting–rather than concrete, which would break more easily under the force of stones lodged by the river. Furthermore, a stone-net gabion could be fixed more simply than a concrete-based structure. 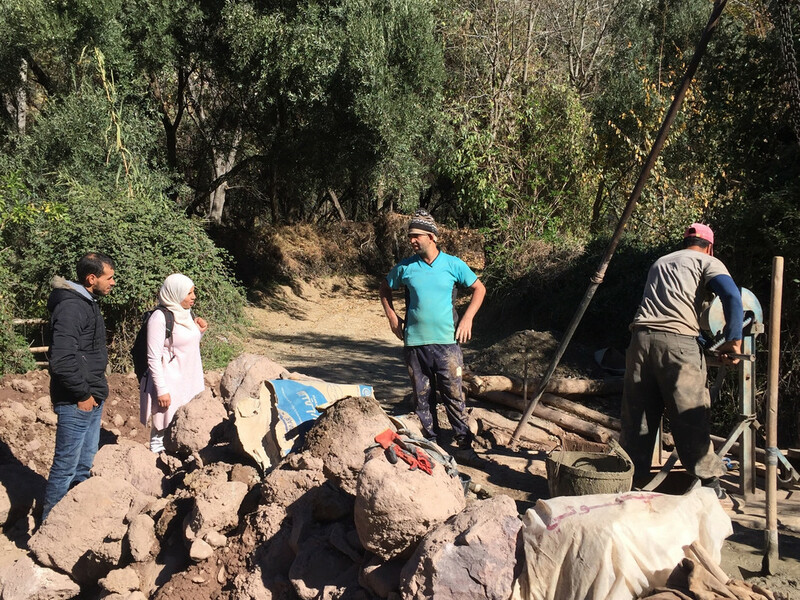 In line with HAF’s mission of promoting autonomy, we discussed goals of training the community to construct and repair the gabions, as needed. Rather than relying on outside companies, sharing the skills required to build and maintain gabions would empower local people with the knowledge and agency to address their needs and challenges. 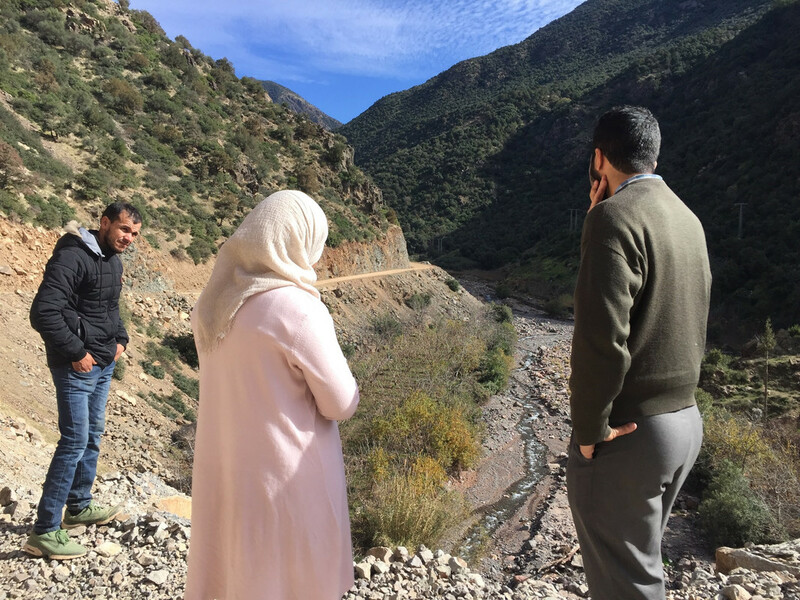 We left Tassa Ouirgane with not only material for the engineer to provide recommendations for how to proceed with gabion construction, but also with plans to involve young women with community projects. Amina insisted that sustainable development projects are incomplete if women are not involved. The nursery, well, and gabion projects are being funded by the United Nations Development Program (UNDP). 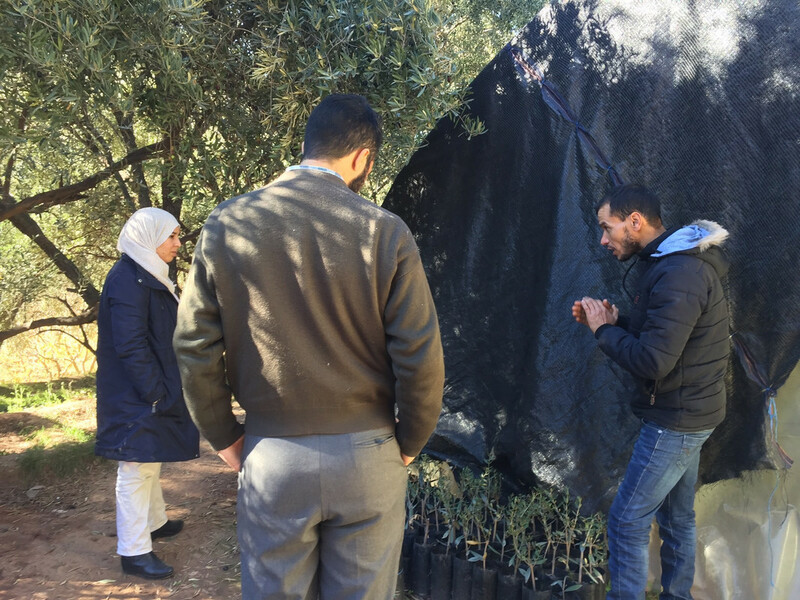 This is the second HAF-involved project supported by the UNDP; the first was the Tadmamt nursery. We are so grateful for the community’s hospitality and the engineer’s involvement, and will return to follow-up on each of the initiatives. To partner with this community initiative, please click here.